Fedora Linux version 12 has been released and available for download ( jump to download link ). Fedora Linux is a community-based Linux distribution. Fedora is sponsored by Red Hat, Inc. Fedora is considered as the second most popular distro, behind Ubuntu Linux. Almost all software packages on 32-bit (x86_32) architecture have been compiled for i686 systems. You can download Fedora Linux 12 via the web/ftp server or via BitTorrent (recommended). For almost all PCs select 32 bit version. For e.g., most machines with Intel/AMD/etc type processors. Good for destkop usage. Almost all multimedia plugins and software works with 32bit edition. Choose 64 bit version to take full advantage of computers based on the AMD64 or EM64T architecture (e.g., Athlon64, Opteron, EM64T Xeon, Core 2). For servers and advanced feature such as hardware error detection, access to more than 4GB RAM and so on use 64bit version. See complete list of torrents here . This is the latest version of the Fedora Linux operating system featuring the GNOME desktop. It’s everything you need to try out Fedoraâ€”and if you like it, install it right from the desktop! Already have Fedora 10 installed? 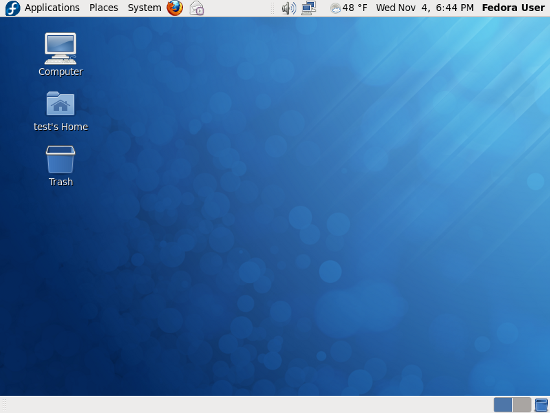 See how to upgrade Fedora 11 to Fedora 12 using the Internet. Please see Fedora mirror download and release page for further information. I had never tried kde..will try now..
Downloaded already and ready to install on my pc. I downloaded fedora 12 64bit. All application working fine. Only xampp does not work. I tried many thing but i clould not succeed. Thank You. i downloaded fedora12 32 bit. and trying to make linux server for my department ………………. if you want the solutions contact me on my id . hello deepak sah G good job do it continue for the development of IT in nepal. I’m downloading fedora 12 DVD image. After completing, I’ll install it and send you details about the performance . Currently I’m using Fedora 12 with XFCE in an old laptop. It’s working great and everything’s fine. Only a performance problem with aMSN. My CPU goes to 100%. I dont know why. I’m trying to fix it. Can any of you give a Detail Step by Step process of how to install Dual OS – I have WinXP home SP3 right now. And want to install Fedora 12. Last time I tried installing Fedora 11 I ended up formatting my entire PC!!! I dont want to make the same mistake again!!! Try a different partition software program. I use a diferent distro to partition with. There are a lot of different programs like “Partition Magic” for instance. My only question to you is are you only using one drive or is that five drives. You can partition a harddrive many times. The better option is to format your F and G drive (specially for your convenience only but you can install in F …and..G is not enough) and install. right click the My Computer and click “manage” , Disk Information, delete those drive you want to format and again format it and try fedora on the same drive. how can i get the iso ?????????????? Note to the webmasters. All iso images should be zipped to preserve and allow checking the integrity of the iso file after downloading. I understand that Fedora is a community distro by Red Hat. Another thing is that CentOS is a fork of RHEL with Red hat trademarks removed. Wat is the actual difference between Fedora and CentOS? 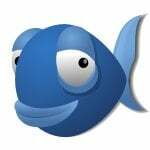 Fedora great for laptop and desktop due to cutting edge softwares. 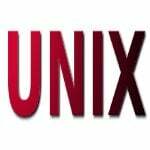 CentOS great for server or workstations due to stable softwares. Just how can I install fedora 12. OpenSuse and Free Mandriva are express with graphical interface. Is there a tool to help Fedora manage partitions properly. Installing fedora for a non-expert appears risky. Please anybody can tell how can i download fedora 12. Hi i have downloaded it , and is working just fine & i have found all the library files which have been exclusively excluded in the live cd edition. For Suresh: The safest way is just to download the torrent file and then open it with utorrent in Windows or bitorrent in any distribution of the Linux systems. For Blaine: An .iso file appears to be in the zipped format and actually it is, since it is a batch of files! To make sure that your download is ok, just right-click on the file and select the properties and read the output. For Albeinstein: There are a pdf file on the net that clearly explains how to install the Fedora 12! Easy and no risk at all! Try “Winrar” that makes unzipping easier. i download fedora 12 twice.but in both the installing times a error occured as download error.how to download correctly????? The safest way to download it is to use torrent file!!! I am sure with it you are nit going to confront any installation/downloading error! 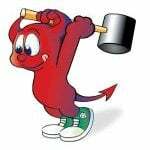 Just download the torrent file and open it with one of the utorrent applications! Remember to install the Fedora 12 via live DVD ISO. While the system is installed try to find the the Fedora 12 cheatsheet on the net to do some tweaking! Do not forget to do post installation stuff! You can find it on the net. Thanks for all people working on Linux. Enjoy the most stable OS, Fedora 12! The link takes me back to the same page (?!) . So, how DOES one upgrade over the Internet? Also: can you upgrade 32-bit F11 to 64-bit F12 like this? ?? After using many combinations, and experlatives, tried to find some documentation on why/how did this happen? I did not get the pretty screens at startup of install. Just a GUI type of install screen with four selections, one being install or upgrade, second install to disk, third rescue previously installed and forth boot from local drive. Tried all, and kept disk in drive, and out of drive, all with the same result. The install was the easiest install I’ve ever done, with just a password to the root. Could anyone please help with any suggestions/answers on how to resolve, or point to an OP manual for download? I’d really apprietiate it! When i try to log on as root user, it tells me that i have a authentication failure. the root password is correct. but when i log on as myself i can user the su command and type in the password and i now have the same rights as the root user. How can i solve this problem. I am new to lunix and this is the first prblem i can not solve. Thank you for the help. I m trying to load fadora……….but not getting sucess…….. I am very happy after complete installation of Fadora 14 in my laptop.It is very easy to use . Any body can do it. Only one point should kept in mind what is ur system either 64 bit or 32 bit.Take write software according to ur system. Fedora is great. Currently I’m using the 14 version. Sorry, but DVD link for 32bit is broken. 404 Not Found error. how can i get the os ? i am unable to download 32 bit fedora. i want know another thing that is it run over p-iv-1 gb ram win-xp- sp 1 supported machine? mind it on that machin sp2 is not been possible to install. i had winxp crash on 64bit machine and recoverd xp and also installed ubuntu 11.04 side by side. the ubuntu/linux is a great troubleshooter, at least for me and i hope for you. Your hard disks will damage full…….